Curtis Monette. Bombs Away Café, 2527 NW Monroe Ave. 6 p.m. Free. 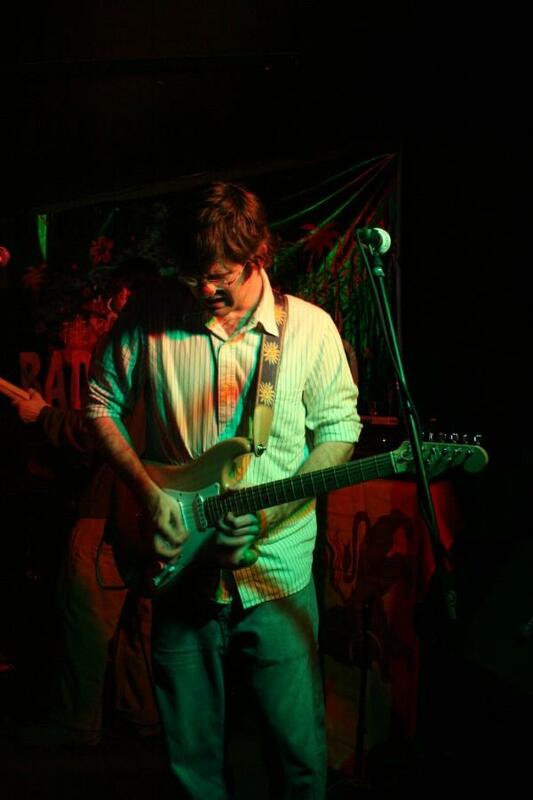 As the press release says, “For over 10 years, Curtis Monette has made Bombs Away Cafe his home for a monthly display of his vocal looping and guitar/bass/mandolin/etc. prowess.” And it’s all true folks, all true. Monette is a must-see performer around these parts. Catching one of his shows is a rite of passage for your crusty little ears. Seriously, they’re small and you need a shower. 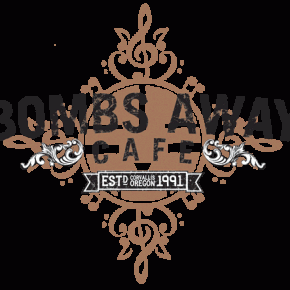 For info, visit www.bombsawaycafe.com. Sockeye Sawtooth. Calapooia Brewing Company, 140 Hill St. NE, Albany. 8 p.m. Free. I’m listening to good old Sockeye right now. Can I call them “good old” if I’ve only known about them for a day or two? 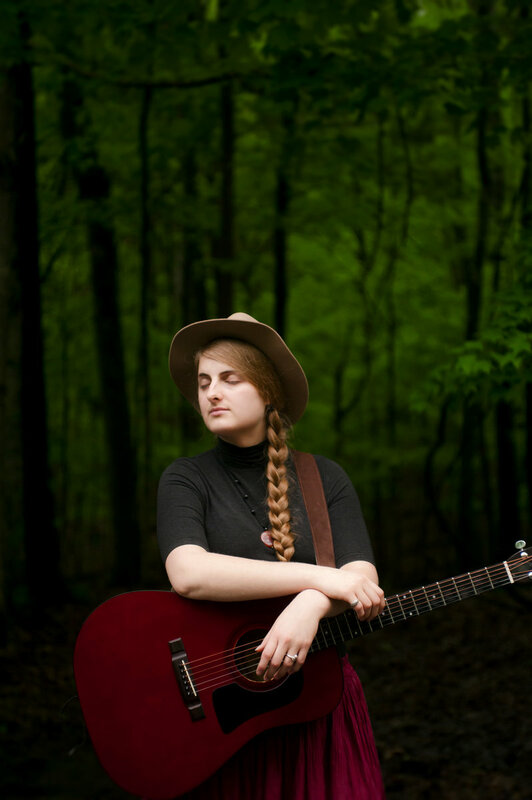 Basically, what I’m hearing is some excellent, soulful alt country with a hint of bluegrass and more than a hint of classic Americana. This is definitely beer drinkin’ music, complete with apostrophe. For info, visit www.calapooiabrewing.com. Inauguration Day Rally and March. 3 p.m. OSU’s SEC Plaza, 112 Memorial Union; 3:30 p.m. Central Park, 650 SW Monroe Ave.
“The event brings together a broad coalition of Corvallis area activists and social justice groups concerned that the inauguration of Donald Trump is a direct attack on diverse communities. However, we’re not just getting together to share anxiety about what’s to come. We want our future president to know that we still live in a representational democracy and that his administration’s policies will need to represent more than the politics of greed and fear. For those who want to make their voices heard but aren’t sure how, this event offers an avenue to connect with organizers working within and around Corvallis. Ultimately, we are gathering as a unified force to inaugurate a vision for a thriving, healthy, and loving community.” This is a community and family-oriented event. For info, visit www.facebook.com/events/384709295212168/. Low Tide Drifters. 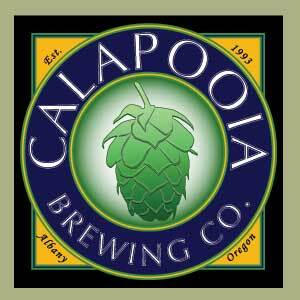 Calapooia Brewing Co., 140 Hill St. NE, Albany. 8 – 10 p.m. Free. Anything called Low Tide is OK in my book. Thankfully these folks are a regional favorite out of Eugene, and along with them come a bevy of traditional instruments, sing-along choruses, and clever lyrics. The Low Tide Drifters refer to themselves as producing “original roots-based songs that reflect the struggles and stories of everyday people in the Pacific Northwest and beyond.” I’d have to agree—though, that’d be hard to miss. For more roots-based info, visit www.calapooiabrewing.com. DJ Rollipolli + DJ Abadackis. 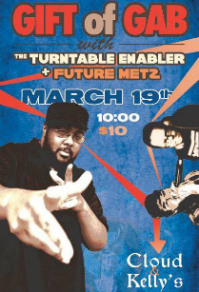 Cloud & Kelly’s Public House, 126 SW 1st St. 9:30 p.m. $3. Check this out: it’s DJ Abadackis’ birthday. A DJ so dedicated they’d waste their one-day-a-year excuse to do nothing at all, playing music for you? I’d say that’s likely to be $3 very well spent. Aside from that rambling, these two are also pretty &*^%@! good. If you normally only head out for rock shows or the occasional choir ensemble, why not try something different? You can visit the Facebook event page at https://www.facebook.com/events/1382732905072361/ or for more info, visit http://cloudandkellys.com/. Blues Jam. Calapooia Brewing Company, 140 Hill St. NE, Albany. 4 – 6 p.m. Free. “Get out, get in and get some on ya.” That’s what they say, and there’s not a man, woman, child, or anything in between/beyond that will find such a phrase unappealing. If anyone says they do, they’re a damn liar. For info, visit www.calapooiabrewing.com. Community Drink – Post Inaugural Event. Cloud & Kelly’s Public House, 126 SW 1st St. 6 p.m. Free. For all the complaining we do about press releases lacking the kind of juicy details we need for 8 Days (I guess that’s mostly me complaining, then), this is what we come up with for our own event: “Don’t let the Clown get you down. 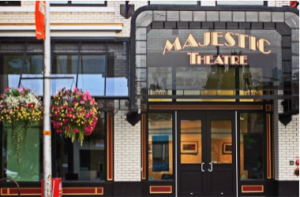 Hosted by The Corvallis Advocate, so expect adventure. Improv, specialty cocktails, solace.” Fair enough. By Clown we mean that big jack-a*s Donald Trump. Show up and drown your sorrows—maybe get heckled by all six of Benton County’s Trumpers on your way out. Sounds like a good time? I think so. The best part is that I can’t make it, so you won’t have to deal with any awkward “Johnny Beaver” encounters. Thumbs up, homies! For more info, visit https://www.facebook.com/events/314574958936591/. Bryson Skaar. Imagine Coffee, 5460 SW Philomath Blvd. 7 – 9 p.m. Every Monday. Sometimes you need to just kick back, enjoy a scum-diddley-umptuous treat and some bold coffee, and let some music flow into your ears that doesn’t involve double bass drums or a Swollen Pickle (that’s a fuzz pedal, by the way). Checking out Bryson Skaar’s weekly set is a great way to get this done. For further info, visit www.imaginecoffee.net. Though I recommend just showing up. Lasting Legal Protection for the Atmosphere. First Alternative Co-op, Community Meeting Room, 1007 SE 3rd St. 7 – 8:30 p.m. Free. Interested in lasting legal protection for the atmosphere, oceans, and Earth’s natural resources? How about binding greenhouse emission reduction targets, and climate recovery planning? This might be the event for you. Special guest Gordon Levitt of Climate Law Fellow for Our Children’s Trust will be there, as well as Youth Climate Action Now (YouCAN) of Corvallis. Sponsored by the Oregon Sierra Club and Our Children’s Trust. For further information, visit http://oregon2.sierraclub.org/. With so many great exhibits going on this month, I want to give a little extra attention to some standouts that you may not have caught on the CAW (or at all). Jeff Hess and Erin Dengerink at The Arts Center features work that draws heavily on both art and science, Bill Shumway and Don Ferguson collaborate with painting and photos at the Benton County Museum for their Plethora of Crows: III exhibit, and Connecting with Water, Journeying Through Art is also at The Arts Center, featuring Abigail Losli and Diane Widler Wenzel. I’m not familiar with Wenzel’s work, but Losli’s exploration of water is not to be missed. You don’t know water until you’ve seen what she’s done with it, I assure you. For details, just check out www.theartscenter.net or www.bentoncountymuseum.org. PreservationPUB. Old World Deli. 341 SW 2nd St. 6 p.m. Free. Honestly, does anything sound bad after “PUB” is attached to the end of it? PreservationWORKS launches their PreservationPUB series on Thursday. One Tiah Edmunson-Morton will present the premiere program, “Beer, Bines & Barns: Preserving & Celebrating the History of Hops in Benton County.” This talk will inform and inspire you to see the local landscape and your pint glass with new eyes. Those are their words, not mine… though I hardly doubt them. Mule on Fire. Calapooia Brewing Company, 140 Hill St. NE, Albany. 8 p.m.
I’ve never seen a mule on fire, but I’ve set plenty of giant Yaks ablaze in FarCry Primal, if that counts. And it should, because it was awesome. Anyhow, Mule on Fire, in this case, is a band… and one you’re going to want to see. Don’t believe me? Cram some of their alternative folk in your ears via http://muleonfire.com/listen/ and all the doubt will go out the window. Where it goes after that, I’m not responsible. For info, visit www.calapooiabrewing.com.